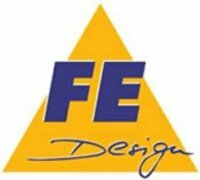 FE-DESIGN is one of the leading engineering and software companies to offer solutions for virtual product development. Customers around the world use our optimization and simulation products during the development of mechanical components in the fields of automotive, wind energy, aerospace industries as well as the suppliers of these industries. Among our customers are for instance BMW, AUDI, Airbus, Siemens, Bosch. The main office resides in Karlsruhe, Germany, with branches in Munich and Hamburg, Germany, as well as Sofia, Bulgaria.